The major complaints from people with city water is the chlorine. 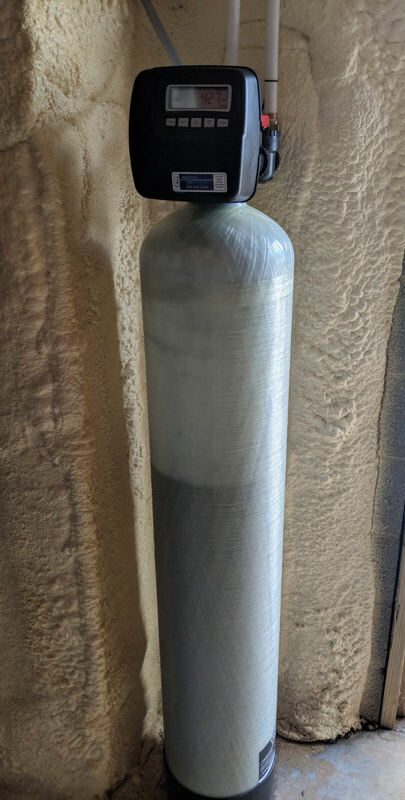 This Asheville customer called us because they were going to be on city water in their newly built home and wanted to make sure the water was filtered. We installed a whole house carbon filter. The carbon will last for years without any filters to change! The carbon filter can remove Chlorine, Benzenes, pharmaceuticals, THM’s and much more. This customer was very happy with their investment in clean, great tasting water from the tap!